What do you want? … Really want? …Now! Meeting you where you are on your aging journey. May 11, 2019 / 9:30 am - 3:00 pm. At New Futures we are intentional about helping you generate a healthier, happier and richer reality from whatever life throws your way. We help individuals see new ways of thinking and behaving in order to obtain the fullness and best life has to offer in retirement and beyond. 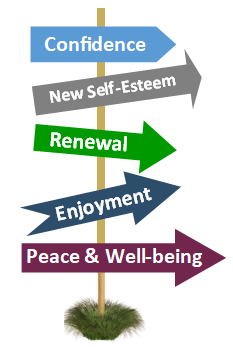 8 Keys to Fulfillment in Life's 2nd Half May 11, 2019 9:30 am - 3:00 pm. Tell us what you think about our workshop themes and their utility to you at your stage of life. Fill out our survey!